with LCD screen, is high performing device with a very affordable price. Our device is exceptionally user-friendly and as its dimension ranges within 160 x 120 x 10 mm, it can be carried in hand very easily. Due to this compactness, this device is ideal for mobile usage. is a highly developed product that can be used to transfer electronic signature to the PDF or Word documents. The technological importance now a day has lead to the use of PDF documents very extensively for any kind of official or business deal. However, in most of the cases, people question about the authenticity in showcasing these e-documents. Therefore, the need emerged to develop a technology that would be useful to convert manual signatures into digitised or electronic form and encoded in the PDF documents of the e-world. 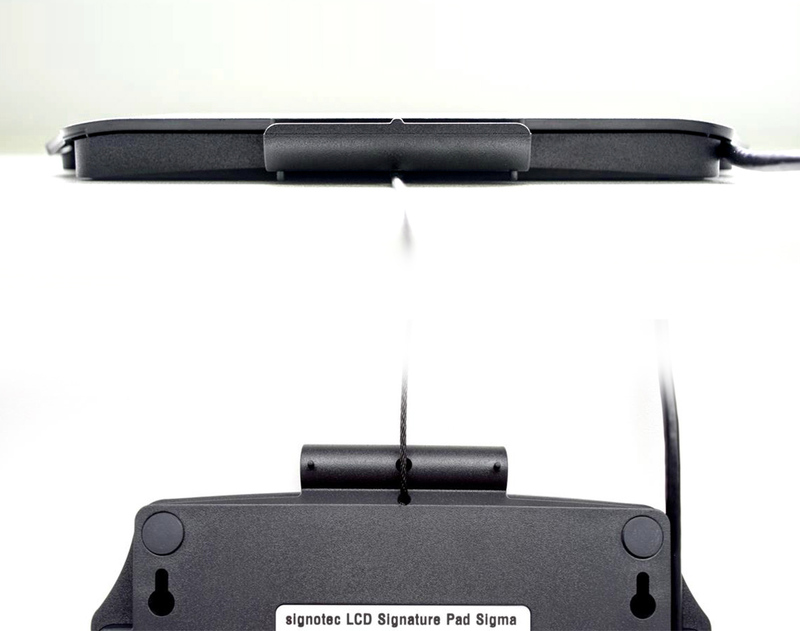 Our device without backlight helped in solving issues for signing electronic documents. Device must be efficient to identity the signature of the signatory. Signature must be linked to the signatory uniquely. Any subsequent changes in the piece of the data already saved in the device must be identified. 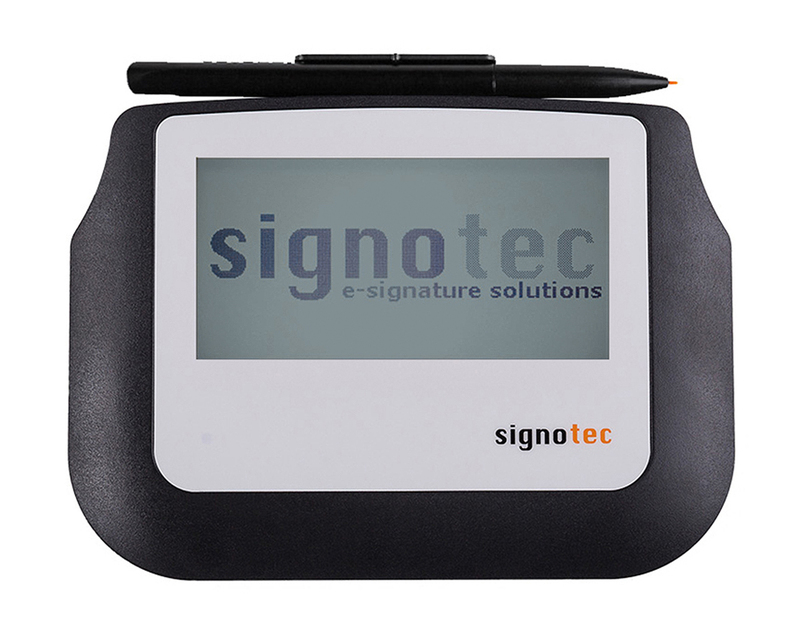 Under direct control of the signatory, the e-signature has been made with a device or any means possible. 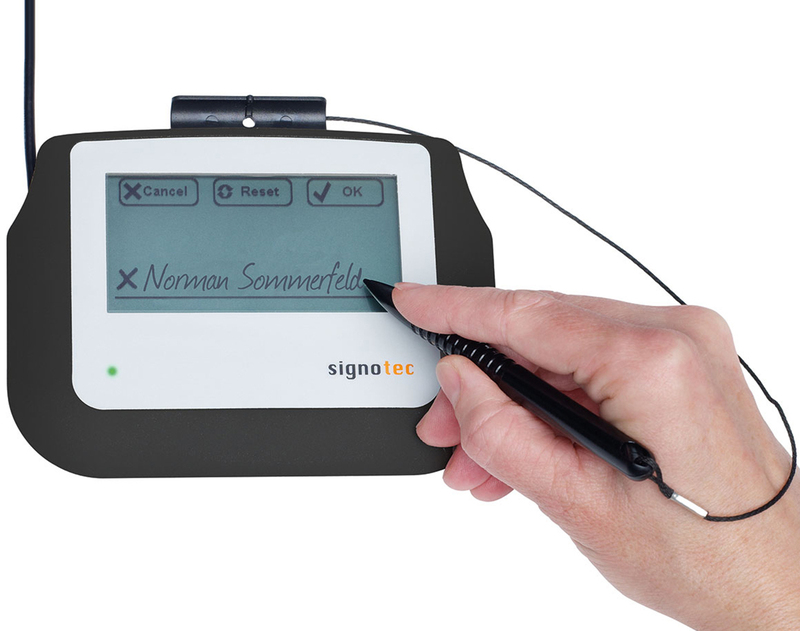 The signature pad without backlight converts the manually composed signature created on the screen of the device into digital format. 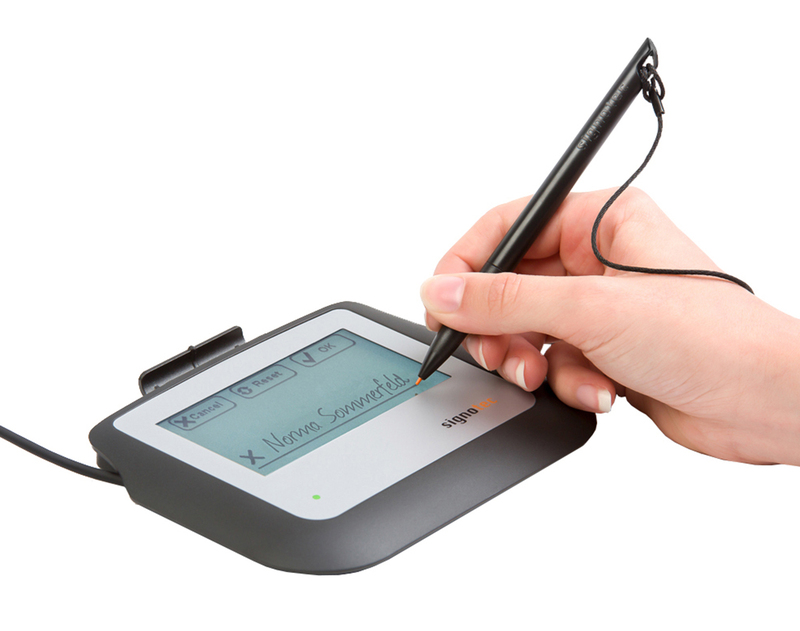 The device then helps in pasting the digital signature into the PDF or other files. A specialised pen is used for signature that is manufactured by Signotec itself. However, the experts can only examine the signature with the help of special software. If necessary, the authentication of the signature can be done at a later stage. 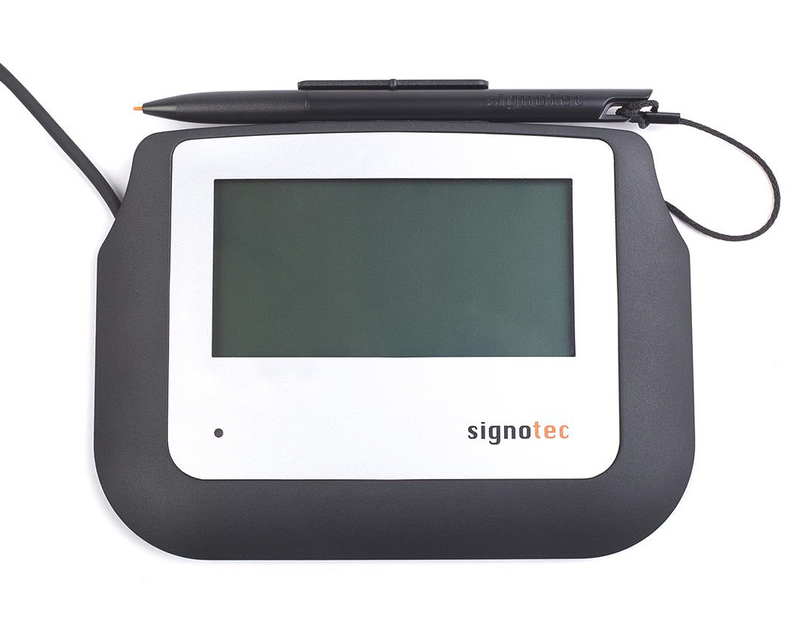 The LCD Signature Pad Sigma without backlight even comes with security software and with the adequate security factor and other mechanisms it helps in secured transfer of data, even the signatures. 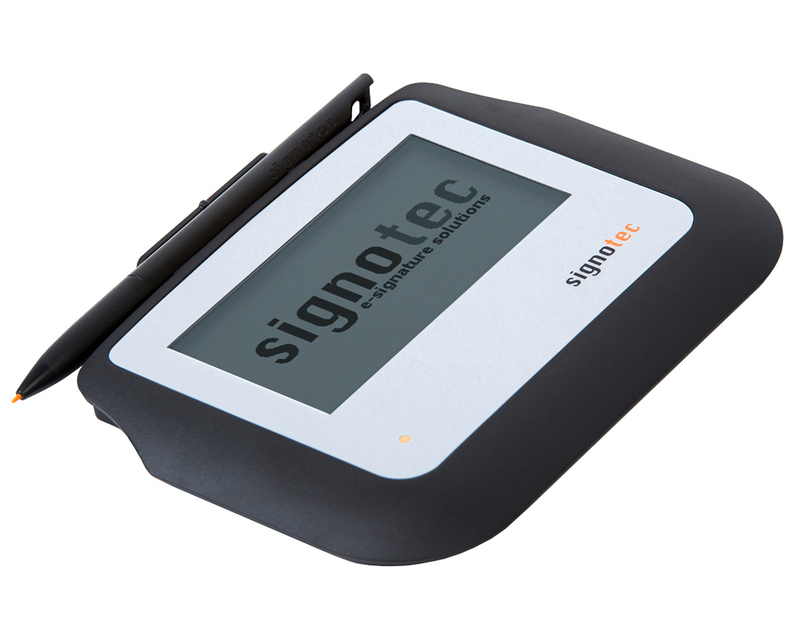 Every important and relevant data is stored in device that is related to the characteristic of the signature (made by the special pen-like device of signotec). This enables any kind of misuse of the signature. Verifying and authenticating the signature and its signatory is also not a problem, with proper availability of forensic data. However, the electronic signature devices without the backlight facility can be difficult to use in rooms with deficit amount of light. If provided with the backlight feature, the users could use them in darker rooms as well. On the other hand, this may not be taken as a major setback while evaluating the electronic signature pads without the backlight facility. With a view to the price of the gadget, this device serves as one of the most suitable electronic wonders for conducting authentic paperwork related to legalisation of e-documents. The biometrics from the signature pad are RSA-encrypted and signed inside the pad and not in the insecure environment of the PC. Saving a custom RSA certificate inside the pad. Sigplex strives to bring the best digital signature experience to our customers around the world through its innovative hardware and software. 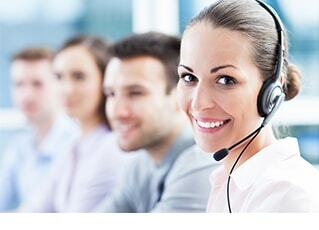 Sigplex welcomes your feedback on its products. The pad comes with a free of charge software package consisting of the signoPAD-API signoIntegrator, signoImager and MS Office AddIn. To find in the download area. Recommendation: A useful addition for signing of PDF documents is signoSign/2 . 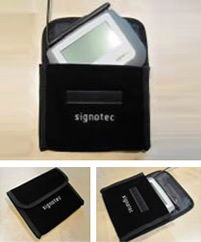 The Sigma signature pad comes with a useful carrying case which protect your pad reliable.